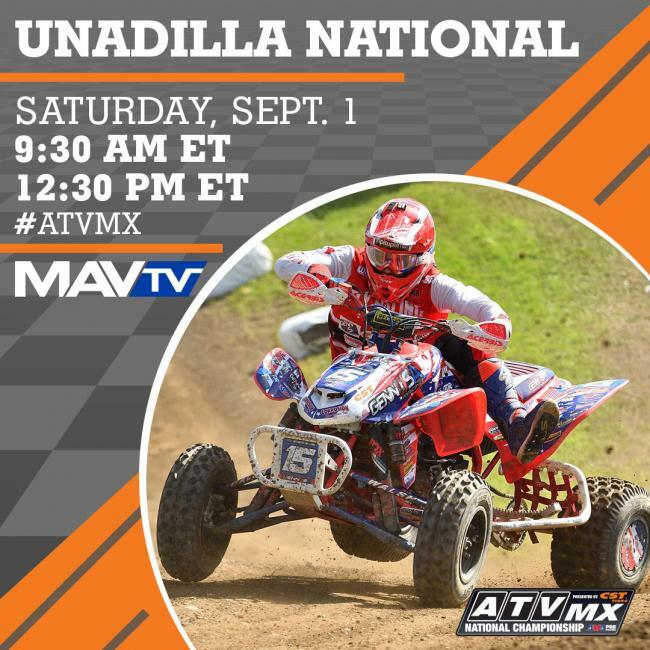 MORGANTOWN, W.Va. (August 31, 2018) – Tune in to MAVTV this Saturday, September 1 at 9:30 a.m. ET and/or 12:30 p.m. ET for the ATV Motocross National Championship (ATVMX) presented by CST Tires to watch round eight – Unadilla ATVMX National highlight show from New Berlin, New York. 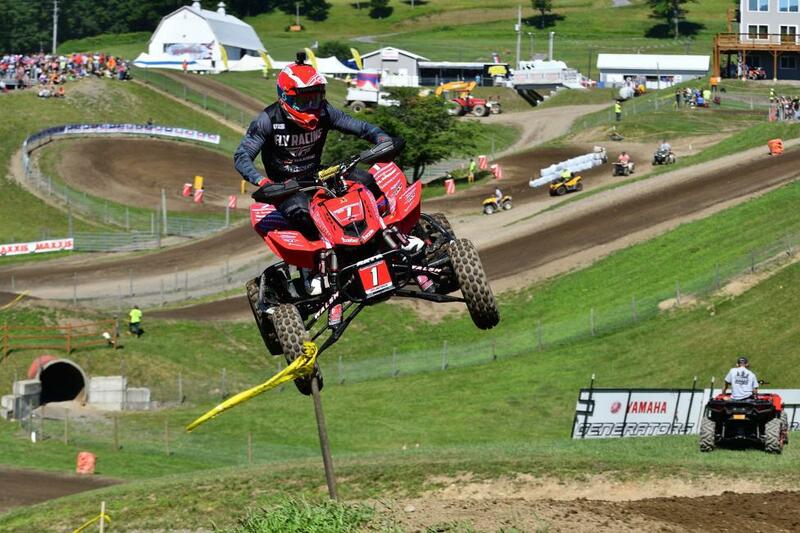 The Unadilla ATVMX National was greeted with some of the best weather the series had seen all season long. Sunshine and mild temperatures were a treat for the riders as racing got underway on the legendary dirt that makes up the Unadilla MX facility. As the gate dropped on moto one Chad Wienen would grab the holeshot, but close behind him was his biggest competitor Joel Hetrick. 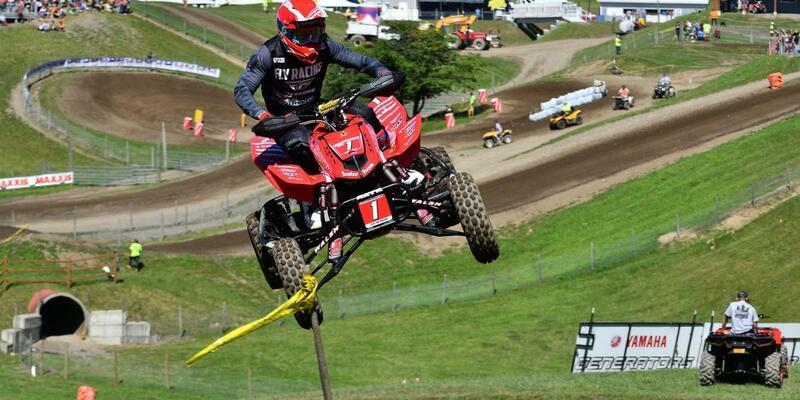 After a slight bobble by Wienen, Hetrick would make his move right before horsepower hill. With the lead now in Hetrick’s control, the battle at the front of the pack settled into a familiar pace that remained until the checkered flag flew. Behind the two front-runners Thomas Brown was making a run for the final podium spot, while Jeffrey Rastrelli was showing some great improvements after dealing with a lingering injury. Zach Kaczmarzyk also had a breakthrough moto finishing just behind Nick Gennusa after battling him throughout the entire first moto. As the day wore one, it was clear moto two would be just as exciting and nerve-racking as moto one. Hetrick and Wienen were going to be battling for the top spot and valuable championship points, while the rest of the pack looked to end their dominance and create some revolutionary moments of their own. Set your DVR’s or tune in at 9:30 a.m. on Saturday, September 1 to see how moto two went down from Unadilla MX in New York. There will also be a re-air at 12:30 p.m.